It was still the period of music hall and lantern slide shows in drill halls and empty shops. We were all still mesmerised by colour and movement, however primitive. Then came moving pictures and the entertainment scene moved on. In Fleetville it took an unconventional turn to bring the flicks to the incomers. 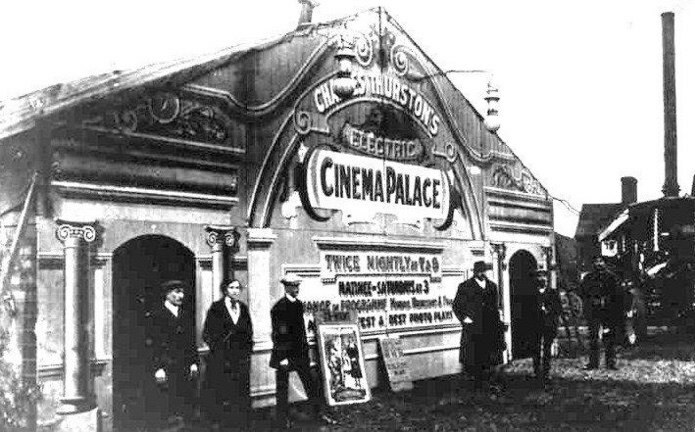 The glory days of travelling cinemas, sometimes associated with fairgrounds. Courtesy Jon Anton Entertainments. 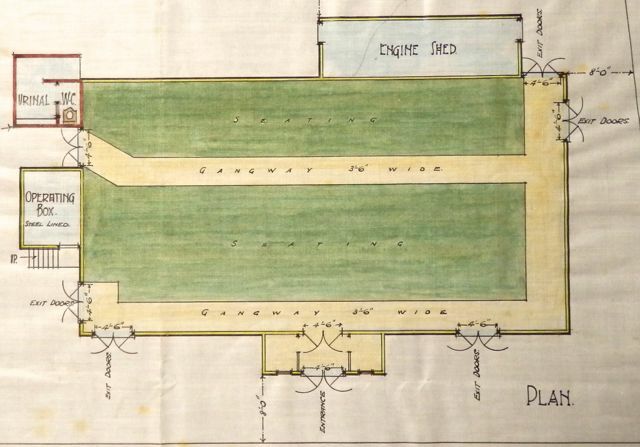 In 1920, just six years later, work began on a much grander place of entertainment. The Grand Palace was opened in 1922 and presented live shows, full film programmes and employed its own orchestra. Its frontage was designed with Greco influences and even showed off a Greek-style statue within the portico. 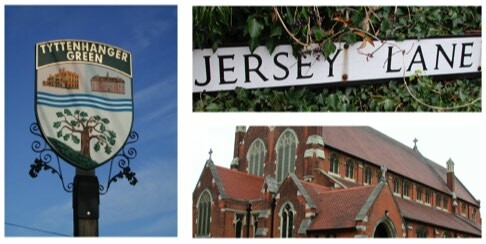 Now that would have impressed Fleetville people, and it wasn't that much further to walk. 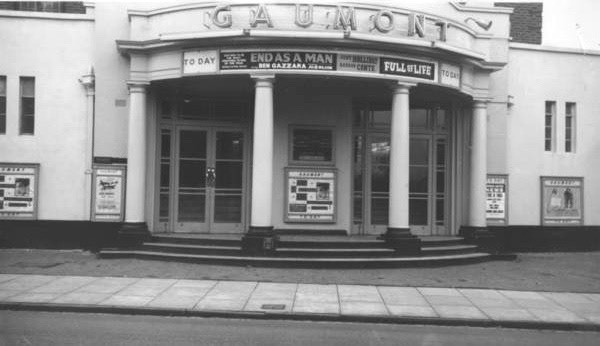 After World War Two its name was changed to Gaumont. 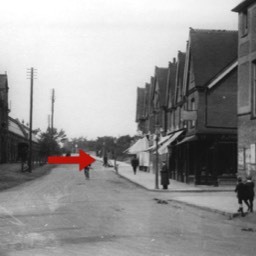 It stood in Stanhope Road where Chatsworth Court flats are. 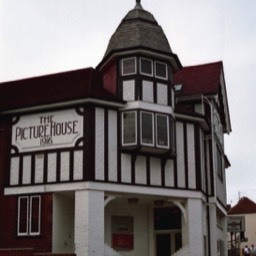 At the dawn of the 20th century short moving films were shown in many small halls by enterprising entertainers, but the comfort and safety of customers was a low priority compared with a profit for the enterprise. 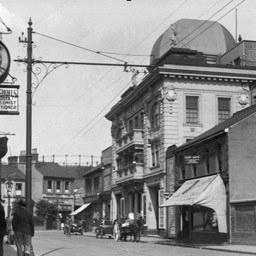 Arthur Melbourne Cooper showed the way in this city with a properly designed cinema building, on the site of the present Odyssey in London Road. By 1910 Parliament had enacted the Cinemas Act to provide for minimum levels of comfort and safety; and cinema-goers did not take long in getting used to them. Meanwhile, self-appointed theatre manager Russell Edwards from Granville Road developed an idea which was not entirely legal. Mr Edwards had previously managed the Palace Music Hall in Luton, inserting moving picture shows into the programmes between the live entertainment. He appears to have left his post quite quickly before turning up on the growing eastern side of St Albans. 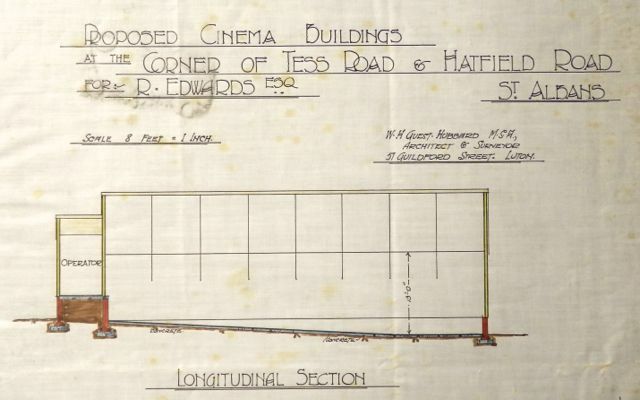 Mr Edwards negotiated with the trustees of the late Thomas E Smith to lease a plot of land at the corner of Hatfield Road and Tess Road, now Woodstock Road south. 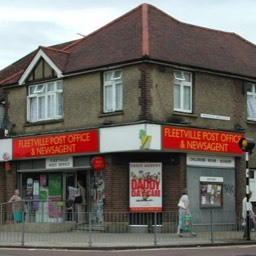 The Fleetville Post Office today occupies this site. Mr Edwards placed an advertisement in certain (unidentified) newspapers: "Partnerships – Advertiser requires about £200 to acquire fully equipped picture theatre, now running. Has taken £30 weekly; electric plant, seat 450; expenses nominal; no opposition." 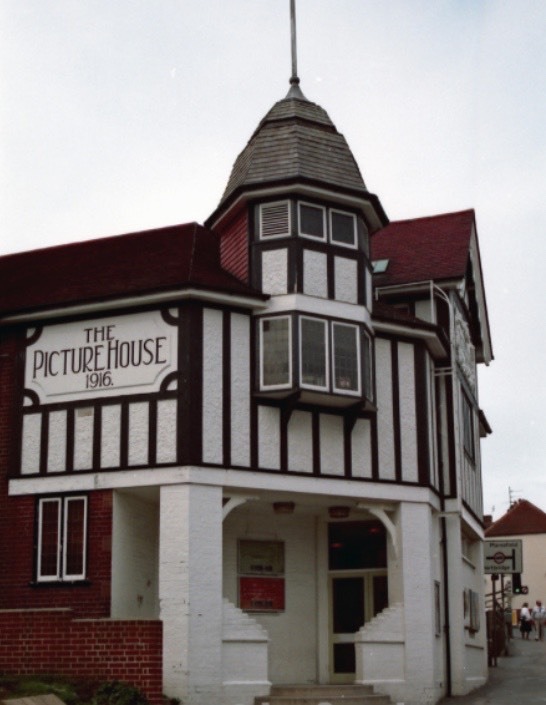 Thomas Swan, from Aldershot, responded and agreed to invest in the project up to a maximum of £350, not realising that, not only was the cinema not taking £30 weekly, it was not yet open for business, nor even constructed. Edwards even lied to Swan about the degree of supervision he had personally been devoting to the construction, which, in fact, he had left to site foreman George Anderson. 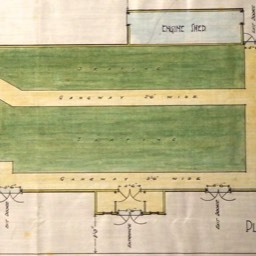 Edwards had negotiated the purchase of a second-hand building from Mr John Forrest of Colne, said to be in Yorkshire but in fact in Lancashire. It was on sale for £125. By agreement Edwards paid Forrest £100, even though a bill for £125 was made out for the benefit of Mr Swan, who paid across that sum. It later transpired that this portable building, when new, had cost only £70, so Mr Forrest was seeking to gain a significant profit, even though chairs were included in the deal. It is not clear how sections of the building were then transported to Fleetville. Could we use it as a cinema? Edwards continued to bill sums of money to Swan for work which may or may not have been undertaken, and several local tradesmen failed to receive payments for materials supplied or work undertaken. An average of ten men worked directly on the construction, and they often failed to receive their pay; Edwards requiring some measure of police protection from his casual workers. No, why would that have been, we wonder. 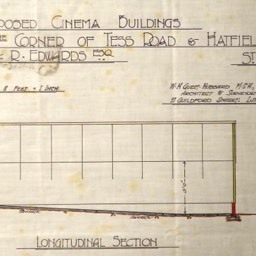 The corrugated iron building was larger than Edwards had at first thought and part of it crossed the boundary of the plot, but he continued with the construction without communicating the problem to the land owner. 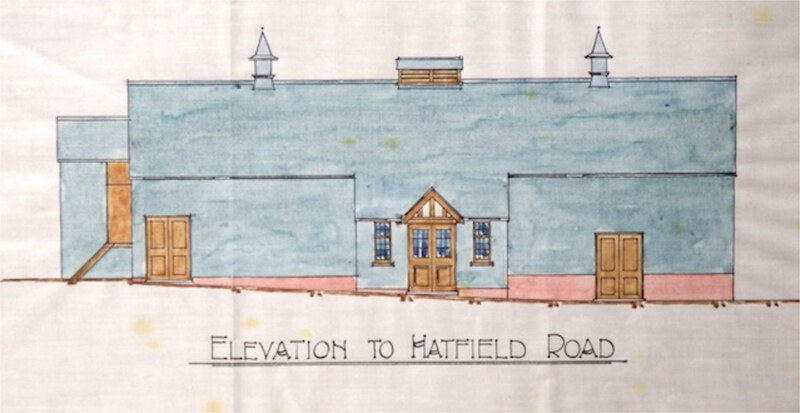 It appears that the sizes of the building and the plot on the architect's plan bore no resemblance to reality. 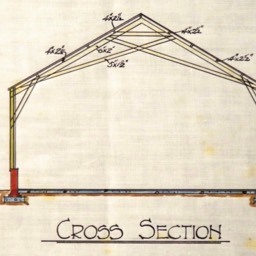 There would have been a number of construction teams around before the First World War who would have been familiar with bolting together sections of what were then known as tin buildings, so it is possible that the various lengths, panels and bolts lying around like so much Meccano, could have been understood relatively easily without referring to detailed instructions and plans. The screen was on the right wall, backing onto Tess Road. To reach the men's toilet – there was no such facility for women – it was necessary to leave the building and walk round to the little room. Although quoted as a 450-capacity hall, it is likely to have held fewer than 250, and maybe even fewer than 200. 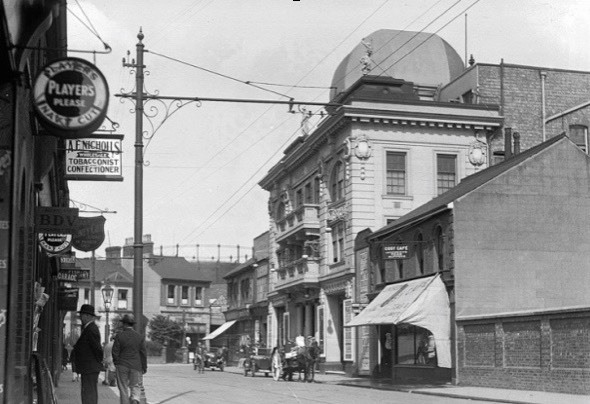 The building had been demolished before 1914 and the site lay waste until purchased by A Rankin Smith c1930. 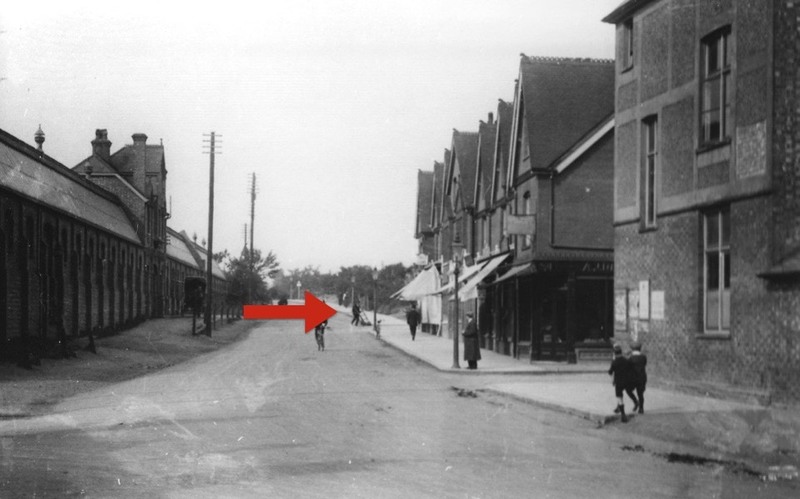 This is where Mr Smith had his new shop built with a flat over. 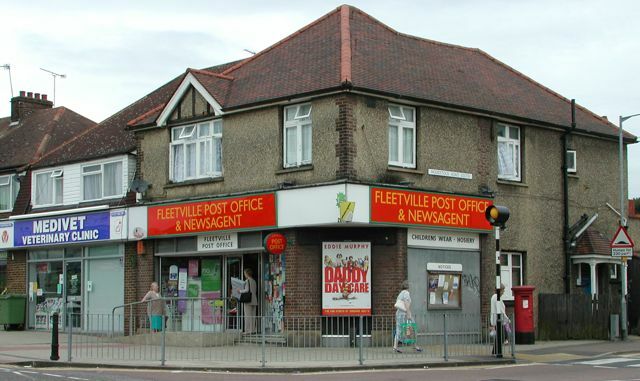 Until then his little post office, sweet and newsagent's shop was nearby in Bycullah Terrace. Eventually Edwards appeared in court, one of many such visits he made on various matters. The court had to decide how various creditors were to be paid what was owed. Edwards was committed for trial at the next Assizes on a charge of perjury, given that he had made many false claims about his affairs to the court. 46-year-old Edwards pleaded guilty and was committed to prison for a period of fourteen days. 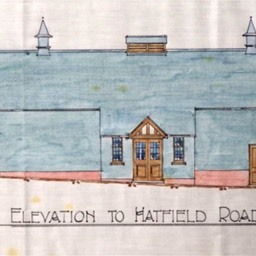 Fleetville residents, unfortunately, failed to be entertained, and probably would not have been, as the 1913 court case and the involvement of the City Council, determined that the structure could not have been given a license under the Cinemas Act. 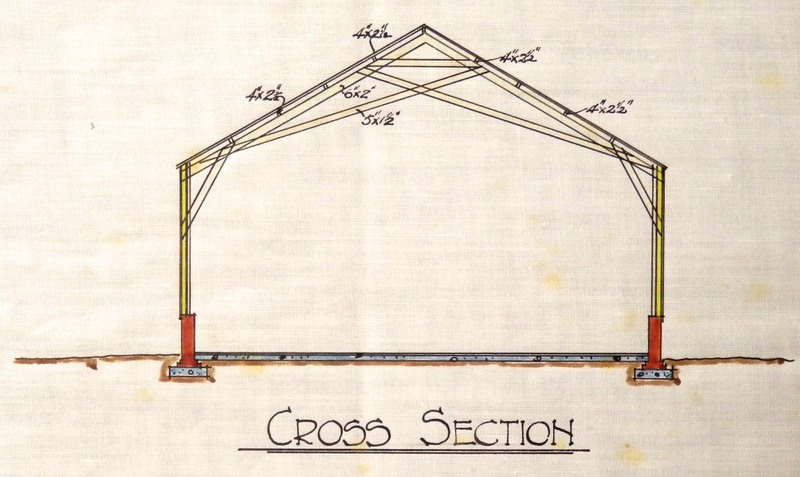 By order the structure was taken apart and sold to pay the court and other costs. Mine is a court of law, not a court of morals. Mr Ottaway, at the trial of Edwards, St Albans Courthouse, 1913.